Short post today - lots of honey-do's on my list! I needed a baby card for a special couple this week, so decided to try to make a dresser card. I think they are just too cute - what do you think? For the lower section, I used a Spellbinder die, cutting out both the front and back. Used a C3 Copic to outline things, adding some depth, and the sweet images are all from the Doodle Pantry, the Oh, Baby set, and Baby Shoes set. These images are pre-colored, so this card was easy-peasy! The inside is a small Memory Box die, and I cut it three times, using the yellow as a base, and trimming the pink and blue onesies out. They were then adhered over the yellow base. Hello, and welcome to a new week! I have two winners for the CardMaker Magazines! Winner #2 is................. Holly in Tx. Ladies, please drop me an email with your mailing info, and I'll get these out to you asap! Thanks to all who dropped by and said hello! What better way to ring in a weekend, than offering up some Blog Candy? 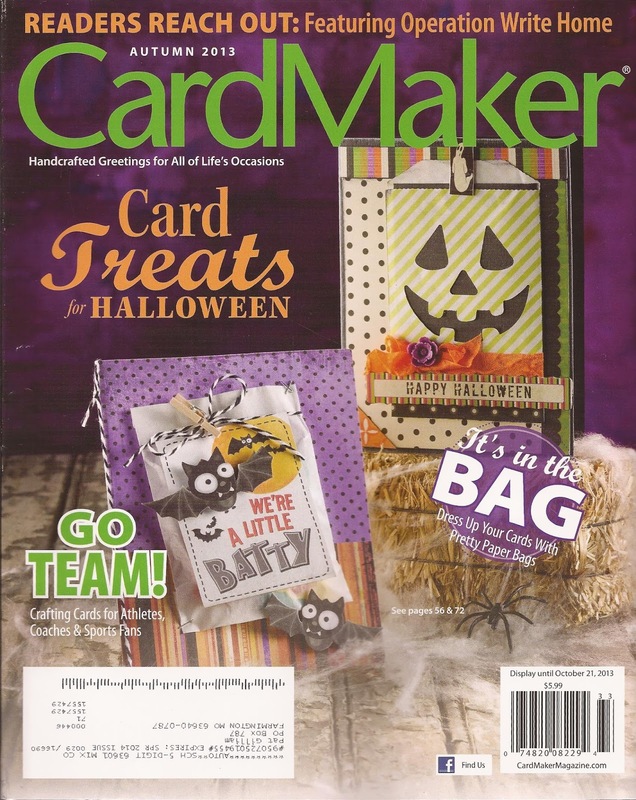 I was lucky enough to have had a couple of items in this fabulous fall issue of CardMaker magazine! As a bonus, I received two extra copies of the issue, and I'm passing them along to two lucky readers! Just leave me a comment, telling me you'd like to win! No strings, just leave a comment! 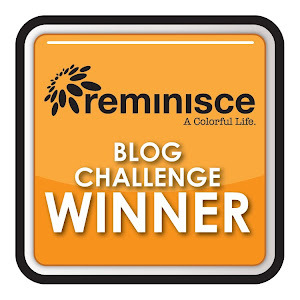 For an second chance, become a follower of the ScrapTownLady blog. Come back here, and leave me a comment, saying you did so. and let me know you did so in a third comment! Two names will be drawn, and winners will be posted here, on Monday morning! Good luck to all. The hills were just cut, freestyle. No ryhme or reason. The first layer was adhered directly to the card front. The next two layers were each adhered with foam, for added dimension. Sadly, the bike is out of stock, but be sure to check out the store - there are lanterns, birdbaths & birds, etc. Lots of other options! Start by aligning your template where you choose. I wanted to end up with some lovely flowers on my envie front, so you can see that I placed the opening over the flowered area. Holding the template firmly in place, begin tearing. Continue tearing, all the way around each edge. Now you will place the template on the back side, matching your torn edges. Place the rectangle template in the center of your first template. Begin by folding in your side edges. Next fold up and adhere the bottom edge. Last, you will apply the Lick and Stick Envelope Glue (sold at ScrapTownLady), let dry, and moisten when ready to seal envelope. Voila! Wouldn't this be pretty with one of your handmade cards tucked inside? Hopefully, you are having a great week! Mine's been good, so far... I may change my mind after my morning dental appointment today! Thanks for stopping by! I hope you will become a follower over at the ScrapTownLady blog - each day promises lots of inspiration, and we have guest designers every Sunday! Melissa Frances Shabby Chic Treasures "Bike"
A cutting, pasting, coloring, waste time in my girl cave, papercrafting junkie! I also admit that I am completely smitten with these Prima Julie Nutting Mixed Media Doll Stamps. So is my partner in crime, Shirley. So....when we saw that a LSS about an hour away was having a 'make three tags' day, we raced up the highway to take part, and look at what we did!!! As this was a workshop, all supplies were included, so if the embellies don't look quite like what I'd have chosen, that explains why! These images are about 7-8" tall, and the tags are almost 9 x 4 inches. Just imagine a scrapbook page for a loved one, or just sending a tag in the mail to someone special - they fit perfectly in a business size envelope! I just happen to know that ScrapTownLady has eight or ten of these lovely ladies, and of course, the matching tags, for sale in her store, if you become smitten as well! Hope you are having a great week - thanks for letting me show off these pretty ladies! Aren't they just OODLES of fun? For real, how can you not just love them??? I had some folks comment, and emailme, asking how to create the butterfly card that I posted yesterday, so I decided to make another card, taking photos along the way. I apologize for the photos. Should have put something under the project pieces, so that the lights above wouldn't reflect. and a focal panel (a shade smaller than the mat). 3. Fussy cut your image. 4. Stamp sentiment, and adhere your stamped images, wherever you like. 5. Trim the images, where they overhang the sides of your focal panel. 6. 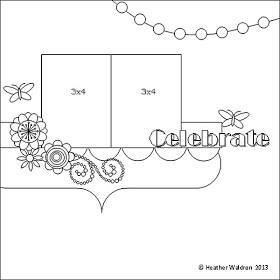 Place focal panel inside embossing folder. 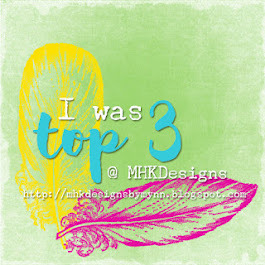 I chose the Stampin' Up! Square Lattice, as it's a tight, woven pattern. My goal was for the panel to look a bit like fabric. 7. Close folder, and run through your embossing machine. 8. Open folder, and say "OOOOH.....AAAAAHHHHH...."! 9. Adhere panel to mat. Voila! Now, if you are not a coloring addict, like I am, you could do this very same technique, using ready made images, punched shapes, etc.!!! Possibilities are endless. Thanks for stopping by! Again, I apologize for the yellow pics, but I think you get the idea! Feel free to email me, or leave your email in a comment, if you have questions. I'll get right back to you! 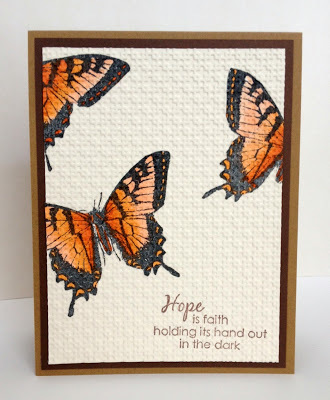 Butterfly image is Gina K. Designs, and sentiment is Hero Arts. There is no way that I could choose a favorite! The day was fun! We created, we ate, and we created. Donna, the hostess, lives on a beautiful lake, and the views from her amazing windows were so lovely! Thanks, Donna, for hosting!!! I have a card for a challenge today. This is a publication reject, and fits perfectly! The Curtain Call Inspiration Challenge this week calls for a theme of 'Feeling Nautical'.... we actually just watched the tail end of Jaws 2, so not feeling very nautical right now :) Those movies are so cheesy, but still on the creepy side! All stamps, papers, and dies are from Amuse Studios. Okay, ya'll have a great weekend! 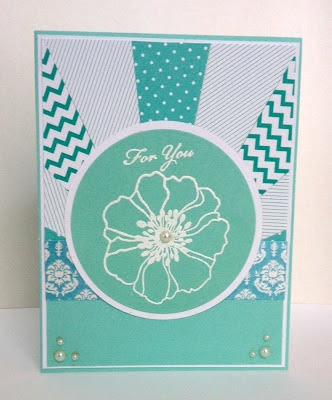 I'm the host for today's blog post at ScrapTownLady's blog, and I have a fun card to share. No stamping. Yep, none! 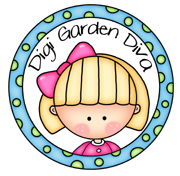 The ScrapTownLady store is sponsoring a challenge this week. "Bird is the Word". In this challenge, the layout sketch must be followed, and along with each sketch is a word that must be included in your creation. The word for this challenge is "Celebrate". To every mom or dad out there that has totally enjoyed summer vacation with their kids, but is also totally excited that school will soon be in session, this one's for you! This card went together so quickly! The sentiment is computer generated. If you participated in the fun at Bird is the Word - you could win a very nice gift card to the ScrapTownLady store. 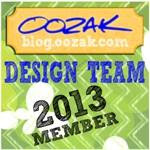 Hopefully, while you are out and about, you canl stop by the ScrapTownLady blog, and become a follower! Designer's Tip: You can have a beautiful coordinating sentiment like the one on my card, anytime you like. Just type and print what you want in your word program. Adhere a piece of patterned paper directly over the word, and print again. Voila! It's my day to post for the Creations by AR Something Old, Something New feature! and revisit it in a new and different way. I chose to use the Tea Cottage template. This sweet, template has become 'eerily' different today! Hope you like it. The top lifts right off for easy refilling with tea bags of your choice. You can purchase this Tea Cottage template HERE. Remember, all AR templates come in SVG, DXF, and PDF files. I don't own a cutting machine, so all of my projects are completed by hand. In this view, you can see how the teabags slide out the bottom. Pretty cool, don't you think? And the fun fence is part of the set! Just think how many things you could use it for! Here is the cottage with the roof off. SO easy to put in new teabags! Hope that your week is going well. We have had no internet since Friday night, due to electricity taking out the nearest tower - other than that, life is good! Did anyone else watch that man cross over the Grand Canyon on the cable? EEEEEKS! Talk about scary. And maybe a bit crazy? lol....To each his/her own! Edit: Oops, sorry! This was pre-scheduled WEEKS ago! Hopefully, I'll be up and running soon, and get by to see you! Edit: Another oops - have been back on line for a week or two! I needed a sympathy card for a family of musicians who just lost a loved one. This seemed fitting, and I can so see the lady directing a heavenly symphony or choir, as I type this! This card was easy peasy. I simply stamped it, and colored with barely there shades of Copic Markers. The stamp is by Stampendous, and I bought it from ScrapTownLady! (Bought another that I'm so eager to create with too! It's a Flourishes stamp, and oh my....what fun! Pray hard - Zumba class #2 tomorrow! Good morning! 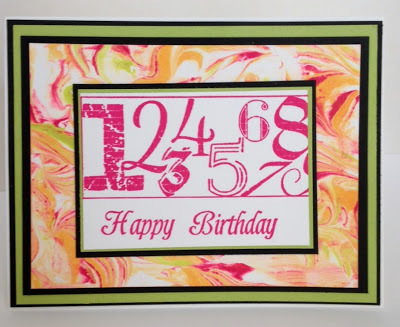 Today is my day to post for the ScrapTownLady Blog. 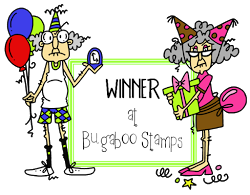 I can't believe what a great variety of stamps she carries in the ScrapTownLady store! I chose to work with this fun Stampendous image today. Just thought something a bit 'girly' seemed like a good plan. This image was so much fun to create with. I wish you could see it in real life. There's a touch of sparkle, lots of gloss, and a nice, rich color. 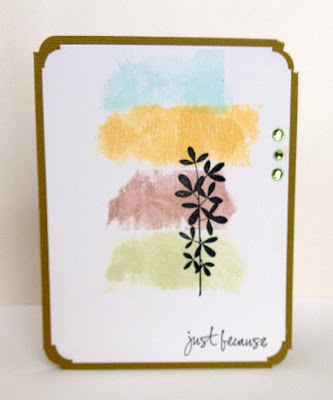 The color was painted on, using Tim Holtz Distress Inks, and a water brush. Reminded me of being a kid, and playing with my watercolors! Painting was great therapy, too, as it's been a week of sadness, having lost a friend to cancer. KaiserCraft makes such gorgeous papers, and it was fun searching for just the right combination - it needed to look elegant, a bit vintage, and even a little sassy! Used my Perfect Layers Rulers for that beautiful 1/8" white border (see sidebar for details). Hope you will head over to the store, and purchase this stamp yourself. Can't wait to see your creations! 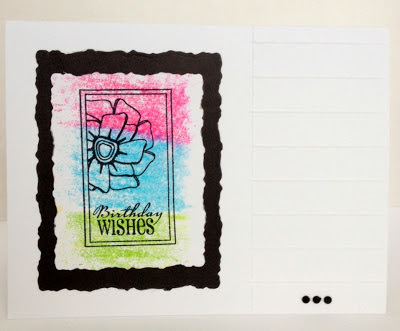 Designer's Tip: If you are using a stamp that is larger than any acrylic blocks that you have, grab one of your Cuttlebug Plates! The stamp will stick to it perfectly, it will wipe clean, and you won't have to invest in a larger block! I hope that you all enjoyed a safe and happy 4th of July! We had a house full, and it was so nice! 4 of the 8 visitors were age 10 and under, and we loved every minute of spoiling them! I haven't done much creating this week, but I thought I would share a card that I recently created for a couple at our church. The papers are from a Bazzill paper pad, and a Paper Studio paper pad. The sentiment is from the dollar bin at Michael's (gotta love shopping in a dollar bin, right?) and I've had it for several years. Heart is drawn and cut out by hand, button from my stash, and Baker's Twine is from A muse Studios. My focal piece has a beautiful straight border, created with my Perfect Layers Rulers (see sidebar for details). We often love things and use people, when we should be using things and loving people! 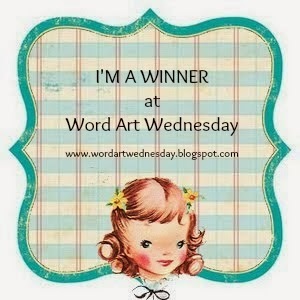 Today is my day to post for ScrapTownLady's blog, and I have a couple of cards to share. As today is Independence Day in the U.S.A., it felt right to use more of the beautiful red, white, and blue papers found in the ScrapTownLady Store. This card is sort of a 'half' easel card. 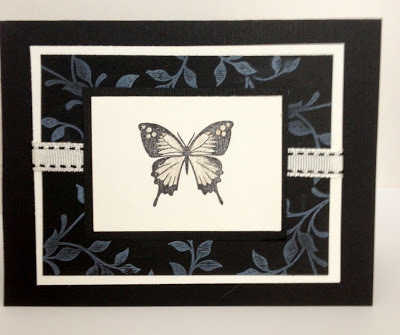 To make this card, simply create your card - this is an A2 card, but any size works. Score your card front at the halfway point, and fold downwards. Ta Da! This photo is looking down on the card, so that you can see the "Pride" sticker that holds the easel in place. It was fun to use the I-O grass die for the appearance of 'fireworks' in the background! Here you can see that the entire top half is blank for your own personal message. The next card was fun. I've so badly wanted to create with some of the Graphic 45 papers that Cheryl sent me, but couldn't choose which piece to use....so I used nearly all of them! Hexagon dies are not something I own, so I dug around, and found this old plastic template. As it has M's on it, it probably belonged to our daughter, when she was in grade school! Guess it pays to be a hoarder (grin). The next step was to cut the hexagons out, distress with some Pine Needles Ink on a sponge dauber, and make a fun layout with them. Last, a scrap of ribbon for each fussy cut lady, a few pearls, and a stamped sentiment completed this quick and easy creation! Hope that you've all had a great week, and have a wonderful, safe day today! Happy Tuesday, and welcome to Creations by AR's July Release! This template, 'Fore the Golfer' comes in SVG, DXF, and PDF files. which are incredibly user friendly. Creations by AR 'Fore The Golfer' PDF Template, Amuse Cardstock, Lace & brads from my stash. So, would YOU like to win this template? Adela Julia Lisa Patti J. (that's me!) Jak Sue K. Sue M.
Comments will be accepted until 12:00 noon EST, on Friday, July 5, 2013.